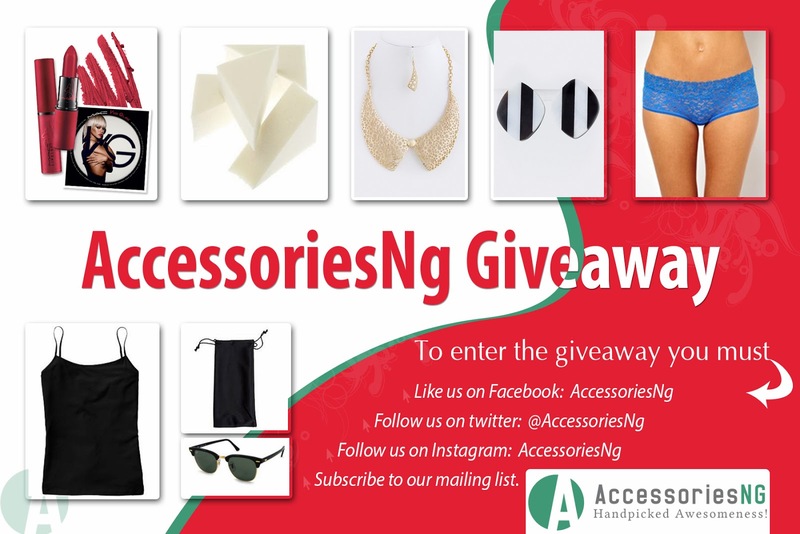 GIVEAWAY : WIN THIS ACCESORIESNG GOODIE BAG WITH LOADS OF GIFTS! Anyone can enter, Accessoriesng deliver anywhere in Lagos! So if you're in Lagos, or know someone who is, why not enter this giveaway??? The giveaway ends on Thursday, 26th of February at 23:00 ! The winner will be selected randomly from this blog. So hurry! I'll win this. Fingers crossed. I deserve to win oo! Amaka.moses@yahoo.com!